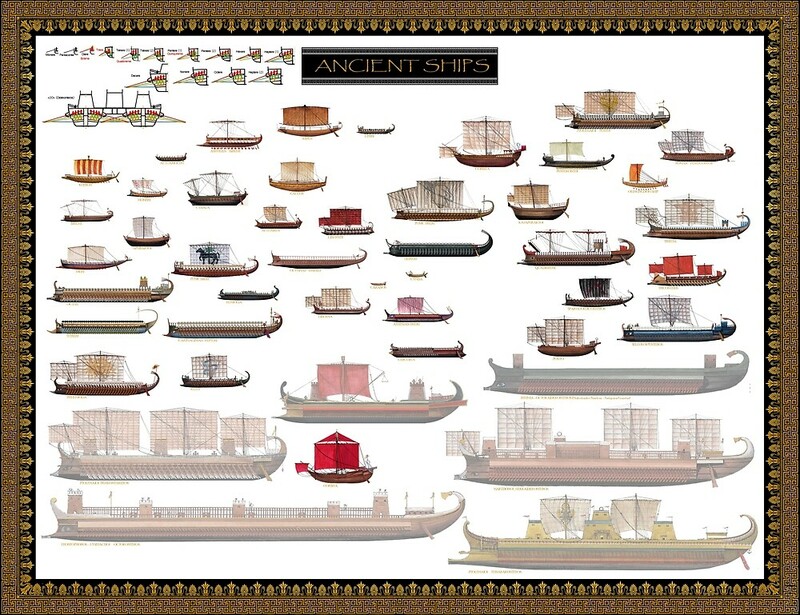 The Carthaginian Navy has ancient roots, the famous trade fleet of the Phoenicians. Originally this Semitic culture of nowadays Lebanon (Tyr, Sidon and Byblos) created trade outposts throughout the Mediterranean and beyond. They established a permanent foothold in Spain, giving birth to the Tartessian culture. Their commercial roads went as far as the Cassiterid Islands (“Tin islands”), possibly second-hand from as far as Britanny, Great Britain or Ireland or to the Western coast of Africa and the Red sea to the east. Their typical ship was the sturdy Gaulos, for which they innovated by creating the first keel and frames hull. They seemed to be typically decorated by a horse head, which eventually became the Carthaginian symbol as well. By creating these Emporions they soon found themselves in competition with the Greeks and started building military ships and maintaining permanent fleets. Carthage was allegedly funded around 600 BC by the goddess Dido on the nowadays Tunis, a strategic position controlling the hinge between the Western and Eastern Mediterranean. The city grew so much that in 400 BC it found itself at war with nearby Syracuse, a local naval power and dominant force in Sicily, but also passed alliances with the Etruscans against the Greeks. With the rise of Rome, Carthage became the major naval power in the Western Mediterranean, soon taking Corsica and Sardinia, and securing alliances in Spain. Soon the Punic wars followed eventually leading to the doom of this long and brillant culture. One of its legacy was probably the most impressive harbour in the antiquity, the admiralty island and its surroundings. Above is a possible representation of the “quadrirème” Punique found in Marsala. She was wearing a beaked spur and was also very quick, as a result. 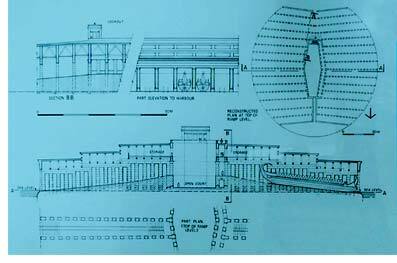 The reconstruction also shows that the stern consisted of two parts, of which the arched one constituted a “tail” in a classical arc but simpler than on the Roman and Greek ships. The beam had probably been steam heated to be deformed as well. In 1971 divers scouring underwater sands some cables from Marsala, on the west coast of Sicily, found two wrecks. The first, classically collapsed under the weight of its amphorae, was determined as a merchant vessel, but the second, more important, was obviously a long ship. It was ultimately an ancient military galley, the only wreck found to date !. Moreover, it was not Roman (whose representations abounded) but Carthaginian: She had probably been the actor of a memorable battle in 241 BC. J.C., which opposed the Roman fleet to the single fleet on the Aegates, ending with a crushing victory of the Urbs at the first Punic War. 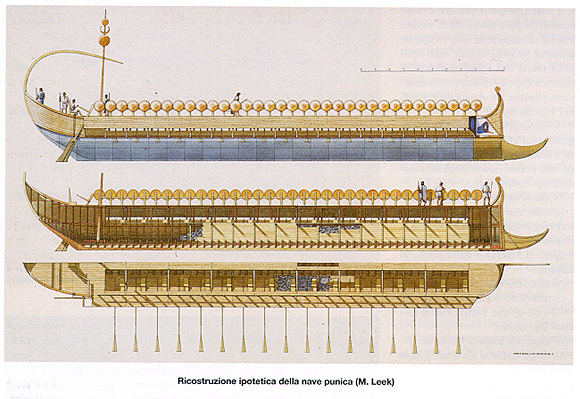 Becoming universally known as the “Marsala ship”, the famous Carthaginian galley was going to raise the veil on many questions about the ancient shipbuilding and on the “long ships”, protagonists of so many battles that changed the world. Led by Honor Frost, a team carried out 4 years of excavations that restored much of the hull structure. The remains of the famous ship were used to reconstruct on a metal base the part of the hull best preserved in 1979. But housed under a simple nineteenth century wine shed, the whole had to suffer from corrosion, wind and rain. So much so that in 1980, it was decided as a temporary measure to cover the whole with a plastic sheeting. In 1987, the community of archaeologists insisted on the degradation of the supports as pieces of wood and demanded accommodation at the height. With the help of the Danes, whose prof. Ole Crumlin Pedersen, and the Regional Conservation Center in Palermo, a second reconstruction was planned. Pedersen had with the Danish Institute of Archeology Maritime the experience of the reconstruction of 5 medieval ships found in Skudelev exhibited at the Roskilde Museum. The ship itself, reconstituted and restored a second time, did not change for the whole, it always had the same characteristics, that is, assembled in pine and wood of acercias, (reacting badly to the chemical treatments of Conservation), with a right keel of 30 meters (which made it a vessel of almost 35 meters in total, for 4.80 m wide including lateral footbridges, and estimated 120 tons, classic figures for the time) , And the best-known rear part exposes fairly fine lines of water, in a “vase”, and not rounded as previously thought, unlike the bridge. They bear witness to a real hydrodynamic concern dictated by centuries of empiricism. They should not be astonishing, however, on the part of a people descended from the Phoenicians, naval builders particularly innovative, who inspired Greeks and Romans. It is also believed that the ship was in spite of its dimensions of trire, a “quadrirème” (Tetre) built on the model of the galleys of Rhodes, reputed to be the fastest: One of them served as “blockade force” Was captured by the Romans, and the Publicans had it replicated in 200 copies in record time. The Marsala ship brings us other discoveries: The painted signs on its hull testify (in addition to the fact that this ship was indeed Punic) of a rationalization for mass production: It is not explained otherwise how fast Romans And Carthaginians could arm so many military ships. Then, the fact that one did not find the classic bronze rostrum, like that of Ahlit (Israeli Coast), obviously having survived the corrosion, one can only tilt for the presence of a wooden spur , A beaked spur, of which some remains survived, and which was covered with bronze. This type of spur was later taken up by the Romans with their Liburnes who defeated the combined fleets of Antoine and Cleopatra at Actium. The latter, introduced by the Rhodians and taken over by the Romans, had the effect of playing the same role as the modern bows, allowing the ship to split the swell in two, thus giving it excellent speed but also great stability. Is not a coincidence that modern oil tankers and steamers receive “Bulges” from the bow: Their presence is due to extensive research in hydrodynamic calculations. The beaked spur almost supplanted the classic bronze rostrum, in particular because of its widespread use by the Romans, introducing a change of tactics: Stopping frontal loads, the beaked beak induced a lateral attack, major evolution of the combat naval. 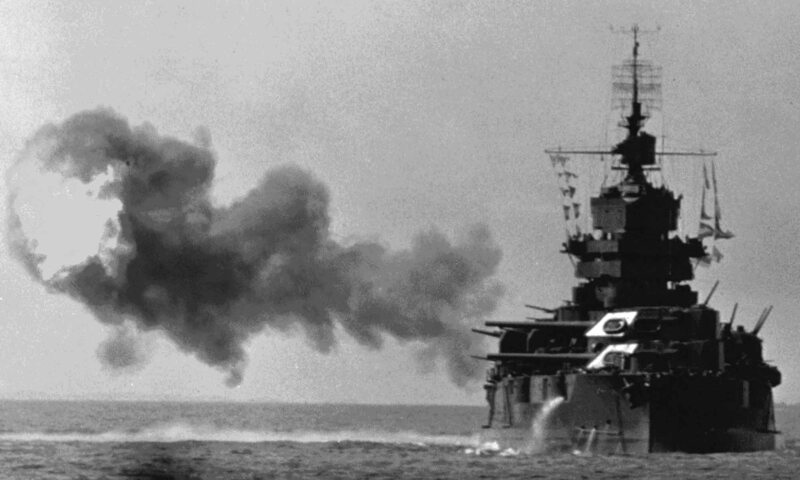 Too fragile, a wooden spur even reinforced would not have survived a classic ramming maneuver. Its role on the other hand in flank attack was to break the oars of the adverse ship, depriving it of its autonomy, prelude to the collision with the raven. Finally, the ship of Marsala reveals traces of fresh produce (fruits and vegetables) at the bottom of jars and cups, giving an idea of ​​the “coastal” reach of this ship as well as the good health of the crew and the rowers . This provides evidence for the assumption that the Marsala ship was defending the port. Strange, the traces of cannabis raised argue that as in the great tradition of the Rum in the sailing navy, this plant was probably chewed by the rowers in order to rise up scared (in combat) and tired. The latter were two by rowing, and the fragments found suggest that there were two sets of 35 tolets per board, for 140 in total, and thus 280 rowers. With two rows, but two rowers by rowing, the galley foreshadowed the future Roman “Liburnes”, which were monoreme, much lighter. Though heavier than the trire, the Tetrere imposed itself thanks to its speed. The latter was partly due to its curved spur, but also to its probably very light structure. There is also something disturbing: The representations we make of it do not include a veil or a mast. It is a fact that certain ancient galleys possessed none, counting only on its rowers. The on-board craftiness was such that one or two masts, sails and rigging with (not counting any masts, yards and spare sails, and maneuvering crews, make this solution simply inconceivable It is very probable that these ships designed for “coastal defense”, sacrificing everything to lightness, did not embarrass themselves and that the battle of Salamis was carried out almost exclusively by galleys without sails. Shipments were provided. However, the debate is far from over: If the Punic galley has been found, it is precisely because it was weighted with stones, but also with a considerable number of jars and amphorae. The latter were certainly sufficient in number, but well beyond the daily food of 280 rowers, especially since this ship was (according to another hypothesis) devoted to the defense of the port (The Carthage fleet and its circular port Remarkable had no other use). Another assumption is the use, confirmed by some texts, and a rare iconography, of merchant galleys, centuries before their use by the great cities of the Middle Ages … The “blockade forceors” of Rhodes were Also used as “fast cargo”, loaded with perishable food. A few dozen meters of hull were unearthed and uncovered (the stern, which flowed first, was submerged in the sand, and thus exhumed in better condition than the rest), which allowed a historical reconstruction. Since the 1970s, no other military galley wreck was discovered. The ship of Marsala is thus one of the most precious archaeological testimony today, to which the museum of the same name is dedicated. Punic Diere, endowed with an incomplete bridge, a solution probably more stable than the old Phoenician galleys with a superimposed gallery (600 BC). Punic triere, belonging to the fleet of Carthage, first Punic war. (250 BC) Note the characteristic elements such as the pointed “rostrum” and the “horn”, an alternative to the traditional fishtail. The sacred half-moon is also a recurring motif. The Carthage Fleet is another heavyweight of the Mediterranean. Inheriting from the brilliant maritime tradition of the Phoenician millennium, this fleet first developed in order to fight against piracy, the empire (of counters founded after Tire) Phoenician being essentially merchant and its defensive fleet. With the foundation of Carthage in 1400 BC. At the same time as the mythical Trojan War, in the middle of the Bronze Age, the Phoenicians of Tire settled permanently in the central Mediterranean, the position of the port being strategic in several ways: Situated right in the strait separating the Sicily of the African continent, it controlled the trade routes from east to west. Its central position made it able to dominate all traffic and later became the enemy of Rome following the dispute over Sicily, Roman intervention at the call of the Mamertins (Messina) leading to a new fact for the ” Urbs, to develop in a record time and for the first time in its history a fleet able to emerge victorious from a confrontation with the major naval power in the western Mediterranean, undoubtedly dominating this entire area of ​​the columns of Hercules to the Strait. In the eastern Mediterranean, the Lagids and Antigonids possessed a force at least equivalent. The Carthaginians, as seen above, never engaged in a race with gigantism, retaining however the best characteristics of “light” ships. Tyr and then Carthage possessed a quasi-control over Syrian wood or forests in northern Africa, Spain, highly profitable mines, and an “internationally recognized” expertise. The Romans did not deprive themselves of carrying out missions of industrial espionage with various fortunes. Their ships and their crews were considered with deference by the authors of the time. The port of Carthage itself was considered with a particular interest as unique in its kind, some speaking of it as an eighth wonder of antiquity. Protected from the city by a high wall and connected to the rectangular civil port by a narrow channel framed by walls guarded with zeal, his secret guaranteed him to be able to quickly put in line the whole fleet. Boat holds have undoubtedly existed since the beginning of the Bronze Age both among the Greeks, the Persians, and the Punicas, for the trireme and dier vessels of the time, still light enough, had to be hoisted dry to avoid That the wood did not rot and were the subject of scrupulous maintenance. (Video) The Port of Carthage, south of Tunis currently: Up, the military port (circular). Below, the civilian harbor, connected to the first. Reconstitution P. Connolly, “Greece and Rome at war”, London, 1981. The port of Carthage is known today quite well thanks to the excavations carried out not far from Tunis, the Port being visible from space at the moment (see Google Earth overview). Circular, it was organized in a series of more than two hundred boat holds of about 4.80 m wide, to accommodate trire and naturally dier, lying down mast and re-entered oars. The central island, known as the “Admiralty Islet”, also housed 30 ships, 5.30 m wide, 40 in length and compatible with Pentera or Tetras, but also had two larger holds, probably to accommodate Ships the size of an Enere (“6”) or a heptere, with 7.30 m. They would, however, have been too narrow for deceres (The only Roman quinqueremes were almost 8 meters wide at the time). Each hold contained a ventilated upper part, an “attic” in which were stowed oars, masts, sails, fittings. There were also arms rooms, an armory and a foundry, the arsenal producing its equipment. Support Naval Encyclopedia, get a gift or a nice deco !